Alright as we know. There is a bug in Allies. There was a work around found, for now. But, this is only the tip of the ice berg it seems. 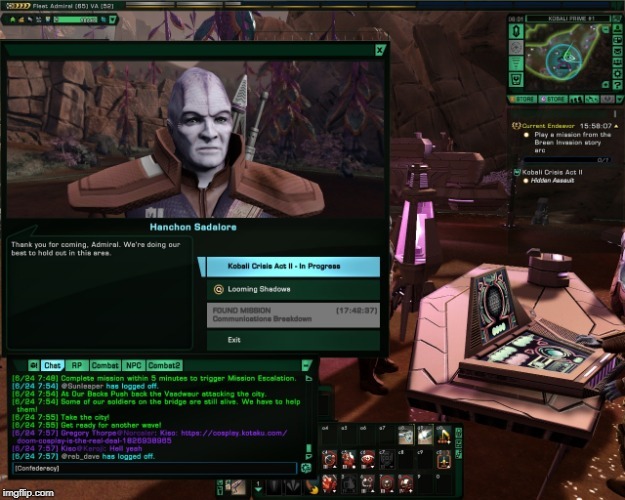 As I'm leveling a new Romulan character. I ran into the Allies bug. Now, I have found another. I have used the work around to complete Allies. But, however, both The Once and Future Agent and Spectres are still greyed out to me. 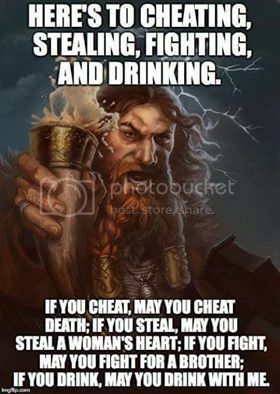 I cannot hail nor skip either of them. So this is more than just the bug with Tradecraft. Here is what I'm currently looking at. So this goes a bit beyond just Tradecraft. even if u managed to finish tradecraft before VIL - next stop is Mine Enemy. I had seen posts about Mine Enemy. So i was kind of expecting that one. This one however, even using the work around that was found for it, was not expected. I'll continue to level via doffing and hope that I can at least do the Solanae arc and onward. So, this, may turn out to be an even longer post. We can however collect all the thing we run in to like this, in this one thread now. Romulan may have another issue though. Likely, with all the other things going wrong here. Though for low-level Romulans, I have found a work around on leveling. Well not really a work around, but a means to get there. Just out of curiousity I checked. My level 26 Rom-KDF char can do the Gamma BZ. So there is at least a decent way to work on leveling. I heard around the office that Tradecraft is now fixed. I already helped fix the Yesterday's Arc for Romulans. Fixes should be out Thursday. Dude, you rock! Thanks for the update! good to hear! as said, you do a good job - in supporting and attitude and seem very skilled. Also, keep an eye on this thread. I just got my Rom to level 50 last night using the Gamma BZ. I've done Sphere of Influence. But, if I run in to any more problems as I play through from there. I'll drop them here. Slight bug with Solanae Arc. Nothing that hasn't been reported a half billion times though. Both time you swap out to the story ships, it's resets your traits still. Apparently this is only on the first time play through. This reminded me that I played Doomsday Device a little while ago and I forgot about the trait loss. No point fixing this...Temporal Ambassador is my next mission, they'll just vanish again anyway. I've finished Allies and In Shadows but I'm stuck now at Yesterday's War, Wasteland, Vengeance, and Freedom being greyed out. 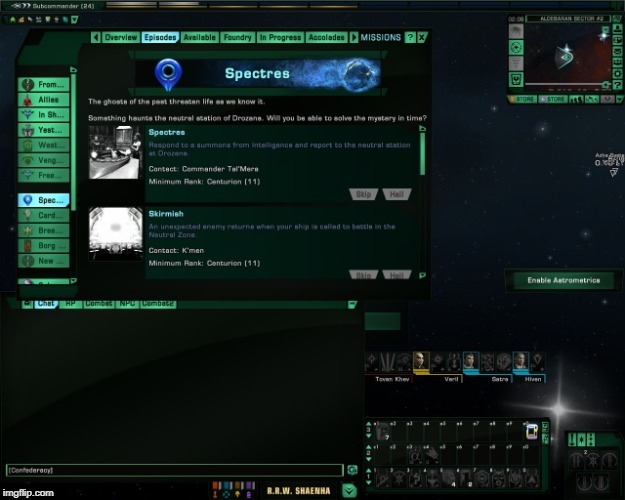 I was able to do Spectres but can't continue on to Cardassian Struggle because my level isn't high enough. Yeah, I used the work around to get to In Shadows. I played through it to Yesterday's. then grayed out. Spectres as you can up there in the photos is as well. This left me in the level 26 range. Now for this, there are two ways to work around leveling, if you're wanting to continue. One is the lockbox doff assignments. The other is the gamma battlezone. I just hit 50 night before last. Did Solanae, with three runs at Step for the set and EV suits, and am at All that Glitters in Delta. Now, I'm like, continue through like this? Or jump to gamma, knock it out and drop back? So through just shear not life leveling via the Gamma battlezone. I made 50, which put into the Solanae arc. Other than the trait bug there on fir time play through, everything has works and my char is now 60. The fact that all that run around was required to level Romulans... makes me kinda sad in the state ViL was released. So many bugs and not just with the new content but everything. Oh well, guess we'll just have to wait for all that to hopefully one day get fixed. I imagine this is a rather important one to fix seeing as it's breaking 1/4 of the playable factions. Some slight bugs on Kobali, in Act II Looming Shadow, Hidden Assault, and New Warfare. when you pick the mission up, it doesn't update. The quest are not updating to what you're suppose to do. Upon trying to complete this. No, this is dead heading on Hidden Assault. You can't talk to Hanchon Saladore to update this quest. Yeah, Fed'Hadar weren't able to get stranded in space, so when they fixed that problem it accidentally made the mission accessible for Romulans. You can't do it, though, only pick up the mission. If you were to do it, you'd get the Azura Comm code mission reward, when Romulans have the Suliban code instead, so that part isn't a bug. The mission shouldn't be available at all. Alright, since I've played through this on other characters. I'm skipping to continue the sear for more bugs. A slight bug in Dragons' Deciet, Unearthed. When you're trying to leave the area at the end. "Fly to the Edge of the System" always fails. Even if you sit where you begin, it will fail. This block off Act III as well. Skipping and moving on. LOL! This is still going on? Wouldn't you know it....I finally get around to getting a Romulan Delta Recruit....and it is all messed up. 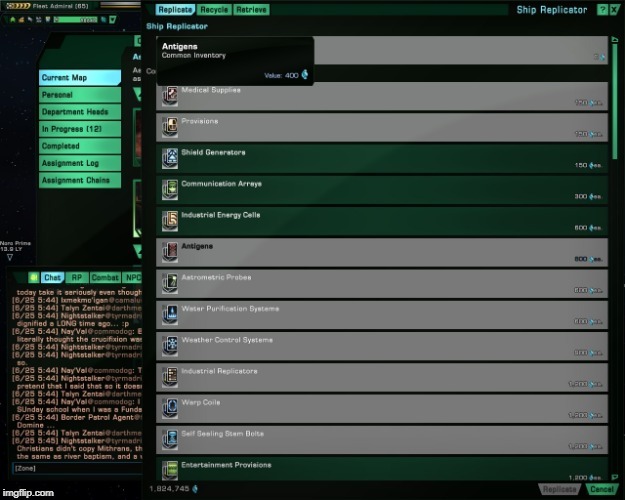 I think I only need to do the Romulan Only missions and find the Iconian Technology inside them. All of this weird stuff is AFTER the Romulan only part? I hope. I need to look on my Tasseract Device next time I am in the game. No, Tradecraft and all that is in the Romulan arc. Tradecraft is the last episode of Allies. Well...I just checked in the game. 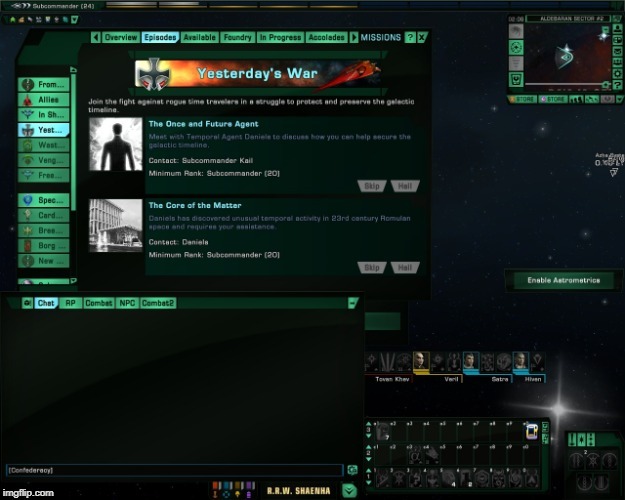 I have to finish "Freedom" and "Vengeance" on the Romulan, and "Cardassian Arc" on the Romulan or Federation to collect the last of the Delta Recruit rewards on everyone else. Sooooooo...looks like I will have to wait until this gets fixed. I think the "Cardassian Arc" used to demarcate the halfway point in the Delta Recruit missions (4 years ago)....which unlocked a reward for everyone. I'm not sure which episode she was trying to do, but I just helped a friend out with the library console bug.... I was playing a fed lib borg, whose ship uses the Belfast bridge, and she was able to use the console. We also tested a human with the Temporal bridge, a Romulan with the D'Kora bridge, and a Jem'Hadar with the JH bridge, with no success. I did this to get by Tradecraft. Then tried to use my Jem to help others. It didn't work. So it seems that it a hit and miss kind of thing there as well. Doing episodes and checking doff missions as I go. Umm.. is my replicator suppose to look like this? You can make partially full stacks, filled more - potentially up to being full/filled (without needing another slot for such items), by buying available items, while you don't have any more place/slots for any new items/stacks. So some items are shown as non available even if no unlock needed. Same effect happens while buying boxed doffs in SB for example, BTW, even though boxes of doffs could theoretically OPEN into overflow bag up to a limit. You can't buy those supply items for the overflow bag though. Almost 2 million EC. I had just emptied my inventory out, and I was going to buy warp coils. Which I never keep in my inventory. I buy the amount I need for a doff assignment. Only thing in my overflow is the To'duj fighter pet, and it can stay there. Ok we can scratch this. Apparently, I had more in my inventory than I thought. Even though I keep it empty, or try to. Weird, buy ehh, won't complain. Just more to discard.